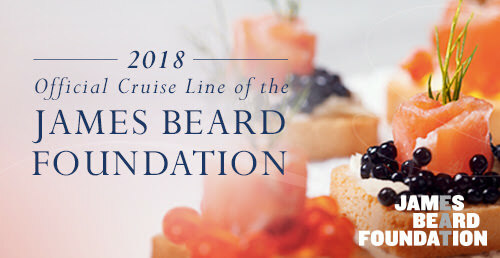 Windstar Cruises and the James Beard Foundation are serving up the best reasons to explore the world through expert-led, locally-inspired cruise cuisine, as the small ship cruise line and American culinary organization sign a multi-year agreement to continue their partnership, through early 2021. The relationship began in 2016 and grew in 2017 into a partnership naming Windstar the Official Cruise Line of the James Beard Foundation, a title that embodies the line’s commitment to epicurean experiences around the world. Memorable meals prepared with locally-sourced ingredients by some of the most recognized culinary talent in the world? 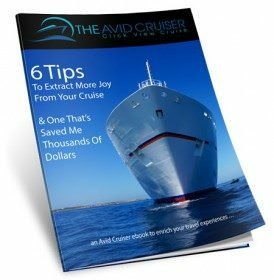 It’s all a part of how Windstar travels the world differently. On six culinary themed sailings yearly across a variety of Windstar’s sailing regions, a James Beard Foundation-selected chef and beverage expert will charm guests with multiple culinary and beverage (wines and spirits) tastings and demonstrations, special and local menu items, wine-paired meals, culinary shore excursions, and local market tours with the chef. The program is designed to allow cuisine savvy travelers plenty of personal interaction with culinary experts. The 2018 line-up features James Beard-recognized guest chefs along with renowned sommeliers/mixologists sailing aboard Windstar’s intimate, small ships is aimed at attracting well-traveled gourmets and oenophiles ready to explore international gastronomic experiences. The James Beard Chef dishes are specially notated on the menu, and no “upcharge” or additional fee is charged for ordering these dishes. Plus, AmphorA menus are on a 14-day rotation, meaning guests enjoy new selections every evening. Evan Hanczor is the chef at Egg, a farm-to-table breakfast-focused restaurant in Brooklyn with an outpost in Tokyo and a farm in the Catskills. He is the co-author — with George Weld, Egg’s founder — of Breakfast: Recipes to Wake Up For and also the creator and curator of Tables of Contents, an edible reading series hosted monthly at Egg. When not scrambling eggs, he works on food policy with the James Beard Foundation’s Chef Action Network, collaborates with multi-disciplinary artists on culinary/artistic experiences, and partners with several food-focused nonprofits on both local and global issues. Evan is thrilled to join Windstar on a trip to the fjords to explore the natural beauty that influences the cuisine of the Nordic region, the quality of its cold-water seafood, and the bounty of summer fruits and vegetables in the region, and to learn from a region that, though distant, bears particular similarities to the fishery- and small-farmer-dependent cuisine of the coastal Northeast. The accompanying beverage expert for this cruise will be announced soon. 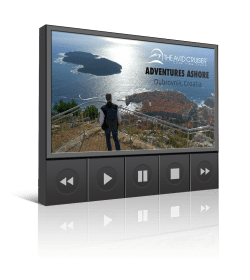 More Culinary Experts to be Announced: Guest chef and beverage experts for the following 2018 cruises will be announced soon: Hidden Harbors of the Côte d’Azurdeparting June 20; and Gems of the Adriatic Sea on August 7, both aboard Wind Surf.